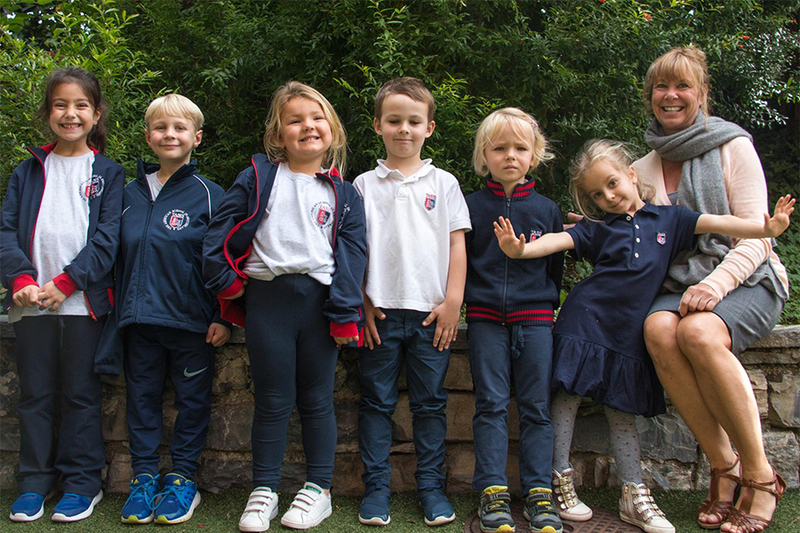 TASIS The American School in Switzerland is pleased to announce that it will expand the TASIS Elementary School's Pre-Kindergarten program to include three-year-old students beginning in the fall of 2018. Students who start at TASIS at age three will complete a two-year program designed to ensure their success when they begin Kindergarten, typically by age five. "Our goal is that by the end of Kindergarten, all students will be able to read in English and write a five-sentence paragraph on a topic of their choice," explained Carol Hinchliff, who this fall began serving as the Elementary School's Early Childhood Coordinator. "We want to make sure that when all students start Kindergarten, they are ready to succeed. We can better ensure success by working on fine and gross motor skills, social and emotional development, and independence and responsibility in Pre-Kindergarten starting at age three. In addition, young children are naturally drawn to manipulating and examining objects around them, and our mathematically rich environment builds upon their curiosity and desire to explore." This includes students who begin the Pre-Kindergarten program speaking little or no English. Ms. Hinchliff, who has 35 years of Elementary and Middle School teaching experience and has focused on early childhood education for the past 17, has seen her share of incredible transformations. "It is a big adjustment and can be difficult for the children in the beginning, but they grow so fast," she said. "It is just amazing. Unbelievable. The little ones here in Pre-Kindergarten are well-adjusted by Christmas. Is it challenging for them for a few months? Sure. But we think the long-term results are well worth the short-term sacrifice." Ms. Hinchliff believes that starting the Pre-Kindergarten program a year earlier will simply accelerate the process of language acquisition. "It's a very natural and easy transition into English, and of course they also pick up a fair amount of Italian," she said. "They're sponges at this age." Starting at age three will also accelerate the process of socialization and positively impact each child's emotional well-being. "If you allow children to learn together and be together, it helps with the maturity of the child and with socialization," said Ms. Hinchliff. "If you have an only child at home, and then all of a sudden they come to school at five years old, it's quite the shock. So to have an early childhood experience when they're only three or four helps with the transition to learning to read and write when they're five and in Kindergarten." Ms. Hinchliff, who first came to TASIS in 2009 and served as a Kindergarten teacher for six years—helping implement and adapt the School's Core Knowledge Curriculum and Singapore Math program for the Kindergarten level while also introducing Zoo-phonics, a kinesthetic, multi-modal approach to learning all aspects of language arts—returns to the School in her new role after spending two years in the United States attending to her family. "I taught in a few different schools in the US, but I never felt I was in the right place," she said. "When I heard about the new position opening up at TASIS, I thought it would be a perfect fit. I feel like I'm back home." Ms. Hinchliff now oversees Al Focolare, the Elementary School's Early Childhood Center. Located 200 meters down the hill from the main TASIS campus, Focolare is a spacious and inviting building containing a science lab, a library, a dining area, a playground, and seven large, bright classrooms for students in Pre-Kindergarten, Kindergarten, and first grade. Elementary School students in grades 2–5 move up the hill to Hadsall, which is part of the main TASIS campus. In addition to teaching two English as an Additional Language classes to help new first-grade students with limited English get up to speed until they are able to succeed in their regular classes, Ms. Hinchliff leads teacher training sessions (this year's focus is the Growth Mindset), reviews the Early Childhood Center's curriculum, communicates regularly with parents, and coordinates Elementary School events with the Hadsall contingent, as she best understands the needs of the younger children. "My job is to be the voice of Focolare and to serve as each child's advocate," she said. After 35 years as a classroom teacher, Ms. Hinchliff has embraced the challenge of her new position. "I love it," she said. "At first it was an adjustment not having my own classroom, but now I have a whole building. I know every child's name, and it's nice that they know they can come to me if they have any problems. I eat lunch with them, I'm on the playground with them, and so that part is very beneficial—to have that extra adult around." they are ready to succeed. Ms. Hinchliff is impressed with the progress made under the leadership of Elementary School Head Theresa Cullen Hill over the past two years, and she hopes to find ways to help the broader community better understand what a special place Focolare is. "I would love to host an Open House or hold classes for parents to explain what we do here and highlight the value of a strong early childhood education program," she said. "I believe that if the community better understood what we do for the little ones—the English instruction, the use of technology in the classroom (every student in Kindergarten and first grade has an iPad), the early childhood intervention, and the emphasis on educating the whole child—a lot of people would be pleasantly surprised." Karen Corda '18 spent one hour at Focolare this October and captured the action in this short video clip. Founded in 1956 by international education pioneer M. Crist Fleming, TASIS is the oldest American boarding school in Europe. 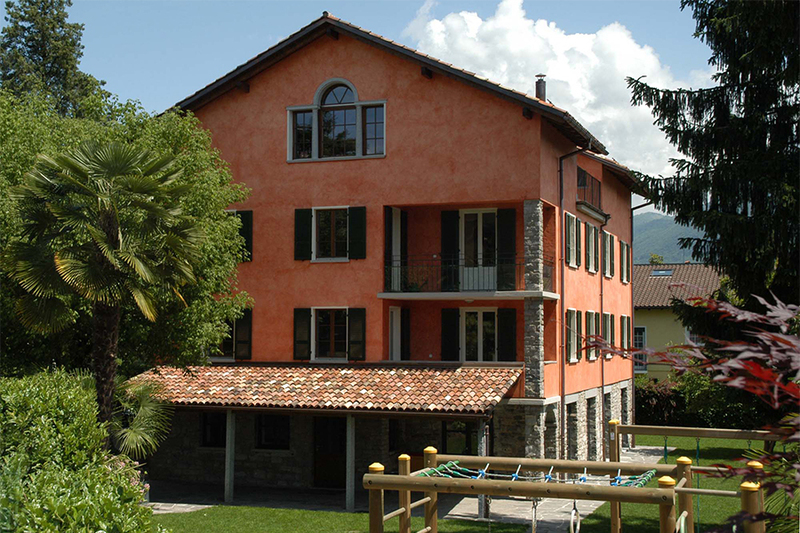 The TASIS Elementary School was added in the fall of 2005, becoming Ticino's first English-language primary school. Since its inception, the Elementary School has grown from 43 students to a vibrant international community of 180 children representing more than 25 nationalities and speaking more than 20 languages as a mother tongue.